Maniac shouldn’t have worked. And in a few specific ways, Netflix’s latest trippy AF offering doesn’t. It’s a case of outrageously creative writing and precise, economical directing, colliding with the bloatedness Netflix is known for. But don’t let that deter you from taking in one of the year’s most involved viewing experiences, because that’s exactly what it is. I won’t even try to explain what it’s about outside of providing a brief surface-scratching plot synopsis. Jonah Hill—lonely, depressed and presented as schizophrenic—meets Emma Stone, whose underlying destructive tendencies are palpable, at a highly secretive drug trial. It’s loosely based off a Norwegian series of the same name and all of this happens within the first 30 minutes. From there, Maniac goes down some complicated and winding rabbit holes full of family trauma, allegories to the state of mental health treatment in America, and a time-jumping narrative device that had me spun. Guess all you want as to where it’s going and maybe by episode seven of 10, you might have some semblance of where it might end. But regardless, it’s all too clear that the talent involved with Maniac is ready to explode: namely Fukunaga. He directs all 10 episodes with such style and intensity that I got uncomfortable in a few spots, realizing just how goddam good he is. There are so many shot decisions and framing choices to deliberately evoke certain reactions that left me smiling ear-to-ear. And due to the fractured nature of the narrative, Somerville in his writing, Fukanaga in his directing, lean hard into the “is this really happening,” structure that can be uberly effective if done well. The aesthetics of the show are unbelievably cool. Maniac is supposed to be set in a near future world where technology has become more complex but it also feels uniquely 80s. In the world outside of the drug trial it’s a mix of what you’d see today in terms of clothing, mixed in with VHS tapes, giant CRT televisions and shades of Blade Runner in the case of Hill’s apartment which is small, metallic-white and lit with the neon glow of the signs outside his window. But when things shift to the drug trial — even as early as when Stone and Hill meet for the first time—in two great tracking shots—the look changes. Maniac takes on an Alien feel: jumpsuits, sleeping pods and overly technical control boards. But just like it’s influences (undoubtedly Twin Peaks) Maniac doesn’t make its structure the main thrust of the experience. You aren’t meant to languish in the ambiguity for the sake of it. Everything does eventually make sense (not really) and the story reaches a conclusive whole that, despite not being what I wanted, felt earned and appreciated. What’s great about the show is its standalone nature — there is no second season planned (we’ll see about that) so there’s nothing to look for in terms of setting up a future world. All of the easter eggs and little hints pointing to the idea writ large, are there to be found and applied to various episodes and scenes. Speaking to the performances: Stone and Hill are great together, using their off-screen friendship to generate realistic chemistry. You get the sense that by the end, they genuinely care about one another. Hill plays misunderstood black-sheep of the family with apt humour while Stone is both abrasive playing off her back-foot emotionally, but also very tender and worldly at the peak of her character arc. But if anyone deserves performance kudos it’s Sonoya Mizuno as Dr. Azumi Fujita and Justin Theroux as weirdo Dr. James Mantleray. Their shared history is explored throughout the episodes, and Theroux is great but it’s Mizuno and Dr. Fujita that steals the show. My biggest issue with the show. For all of its highly interesting (and entertaining) psychobabble thematic underpinnings that had me laughing out loud over what director Cary Fukunaga and showrunner Patrick Somerville put on screen, it wraps up in a predictable fashion that’s wholly avoidable. It’s not poorly written or weirdly structured, but safe. I wished they made better use of the middle episodes’ narrative setup. 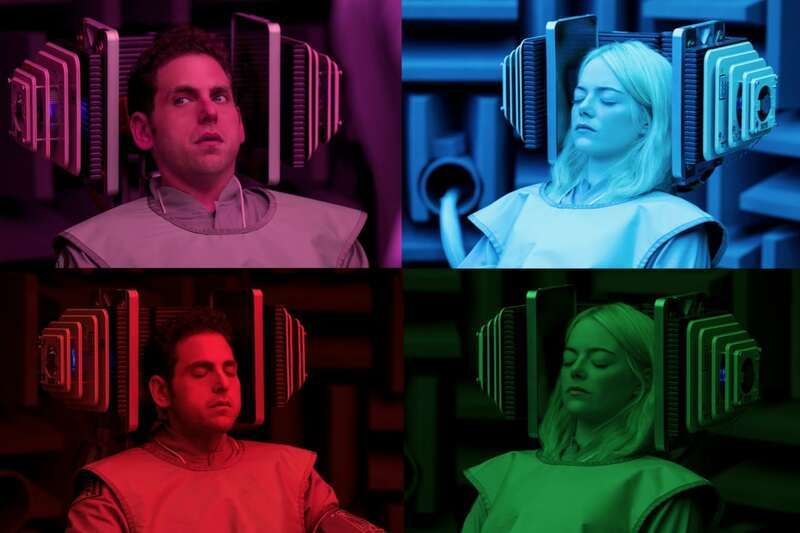 Maniac almost feels born of division, the core of the show is to produce arguments and theories and love/hate reactions. It’s certainly not straightforward viewing and demands your attention if you’re to gleam everything from a first watch (which you won’t). And despite a few narrative stumbles from the end and a bloated episode count, Maniac is a fantastic wtf binge that’s not to be missed.